Microsoft Corp. has agreed to make substantial changes to its Passport online authentication system to ensure that users' privacy is better protected, European authorities said Thursday. 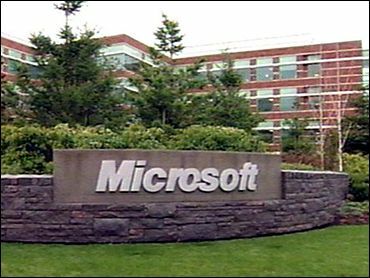 The changes also will apply to Microsoft's rivals in the so-called Liberty Alliance, which includes Sun Microsystems Inc. and several other multinationals. "The bottom line is that users' data will now be better protected," said EU Internal Market Commissioner Frits Bolkestein. The changes will give users much more information and choice as to which data they want to provide and under which conditions the data will be processed by Microsoft or participating Web sites, EU officials said. The European Union's Data Protection Authorities group said Microsoft had "publicly committed" itself to make the necessary changes. However, Microsoft chairman Bill Gates, who was in Brussels for the opening of a conference on e-government, did not answer a reporter's question on the issue. Microsoft's Passport allows users who have registered with the service to enter personal data just once and use that digital "passport" to enter multiple Web sites without re-entering the same data or creating a new password. Microsoft has insisted that Passport complies with European data-protection rules, but EU privacy authorities last year said the system raised legal issues, including the value of the consent given by users and the security risks of the data transfer. The EU privacy probe is unrelated to an antitrust investigation by the European Union Commission, which has accused Microsoft of using its dominant position in desktop operating systems to unfairly influence the server software market.